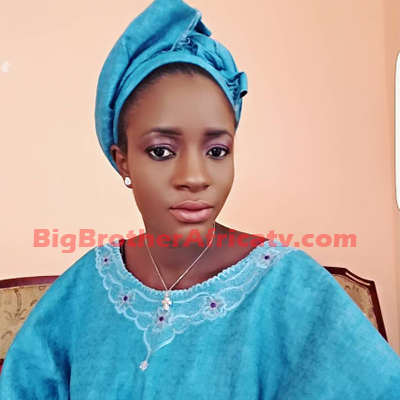 Sierra Leonean model and representative to Big Brother Star Game, Zainab O. Sheriff has been spotted heavily pregnant. Zainab whose baby bump is almost ready to pop has expressed her excitement and her anxiety to welcome her baby. Zainab has being showing off her protruding baby bump on social media with several pictures in the past few weeks. Zainab hit the limelight all over the African continent when she represented Sierra Leonean in the famous Big Brother Africa house in South Africa in 2012. The free-spirited model even gain more popularity when she provoked Comedian DKB who was representing Ghana by peeping while he was taking a shower and DKB ended up slapping her live on TV. Both DKB and Zainab were disqualified on Monday, June 4, 2012 from the reality show. After BBA experience Zainab ventured into acting and starred in "Jewelz" produced in Ghana by actress Juliet Ibrahim. She has also produced her own movie title Ghetto Queen shot on location in Sierra Leon which starred Ghanaian actors John Dumelo and James Gardiner. The Sierra Leonean model, who is also based in Istanbul Turkey, started her modeling career at age 14 in the local area of Freetown Sierra Leone. She relocated to Istanbul Turkey in 2006, and immediately caught the eye of many high fashion designers. So far in her career she has done extensive Runway Shows, featured in top magazines such as Elle, Marie Claire, Vogue and many more. For all the latest updates on Big Brother Africa / Big Brother Africa Season 10 Auditions, you can subscribe to receive email updates from www.BigBrotherAfricatv.com. Grand Finale: Who You Want To Win The Grand Prize? Week 11: Who Are You Saving? Week 10: Who Are You Saving? Which Housemate(s) Do You Want Back In The House? Week 9: Which Housemate(s) Are You Saving? Week 5: Which pair are you saving? Eight Pairs Up For Eviction, Who Are You Saving?